Apple hosted its iPad centric event today in San Francisco, just over a month after its iPhone event. The invite had read "we still have a lot to cover", and as expected, Apple revealed a slew of products. Though mostly incremental, here is a run down of what's new. Apple refreshed both the 10 inch and 8inch models with their latest 64bit A7 processor and the M7 motion processor. And similar to the iPhone 5s, these are expected to have 8X faster performance and 72x better graphics performance. No benchmarks yet to confirm this claim.The larger iPad is now re-branded as iPad Air, and weights just about a pound (28% lighter than previous generation) and starts at $499.The Mini finally gets a well needed Retina upgrade, and starts at $399. Despite the performance bump, Apple claims 10+ hours of battery usage on both models. I was disappointed that touch-id was missing. Rumour has it that it's a supply issue and hopefully next year all of Apple's flagship phone and tablets will sport the touch-id sensor. As expected MacBooks got the Haswell upgrade, boosting battery life to 7-9 hours. Interestingly, except a lone 13' model, all MacBook Pros now come with a Retina screen. I wonder who would pick the non-retina model, which is just $100 cheaper. Apple gave us a glimpse of the newly redesigned Mac Pros in their last event. Today, they announced that they will be available in December starting at $2,999 with a 3.7GHz quad-core Xeon, 12GB RAM, dual FirePro D300s, and 256GB SSD. Schiller emphasized how quiet the Mac Pro will be (as quiet as a Mac mini), and how it uses 70-percent less energy than the last version. Also of note: The Mac Pro will be assembled in the United States. There’s no word on pre-orders quite yet but the price/performance ratio for the entry level model looks quite enticing, that is, if you need such raw power. We were expecting Apple to reveal OS X Mavericks, which they did, but what was more interesting was the announcement that all Snow Leopard and later users were eligible for a free upgrade to Mavericks. Besides some incremental improvements, it is expected to give an additional hour of web browsing from under-the-hood optimizations. Along with it, they also refreshed their line of iWorks and iLife, all "re-written from ground up" to support the 64bit support in both OSX and iOS 7. And they are free for all new Mac and iOS users. Apple clearly is a hardware first company but wants users to use their software along with their iCloud service, competing directly with the likes of Microsoft and Google. Collaboration feature has also been added. Would be interesting to see if users shift from Google Docs and Office 365 to Apple's services. Gone are the days when we expect the "one more thing", or a revolutionary, magical, blow our mind off unveil from apple. There is just so much you can really do, each year. 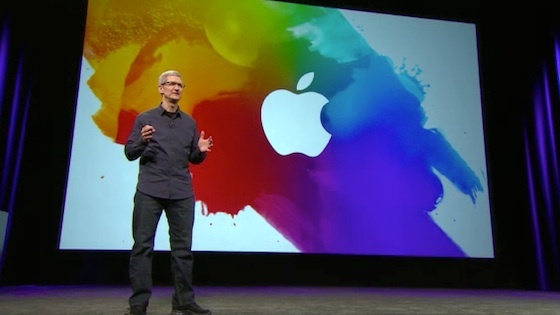 Most of Apple's announcements were expected but are solid iterative product releases. Their software play looks quite interesting. iPod wasn't mentioned and it's clear that they'll be slowly phased out. Lack of touch-id on the new iPads is a bummer but they need to let 3rd party apps use it, and not just restrict it to iOS and iTunes. If you could wait this one out, you won't regret it when they refresh it again next year. Finally, Apple announced they had sold 170 Million (!) iPads till date. Impressive numbers for a device which initially just seemed like an enlarged iPhone.